Friendships will change and don’t let that surprise you. as a group Getting the Love You Want Workshop scheduled quarterly. A new offering they are launching in 2019 is the No Blame, No Shame Goodbye Retreat that allows couples who have already decided to get divorced to reach closure in a more amicable and effective way. Instead of wasting valuable resources fighting it out with lawyers, they help couples “say goodbye” consciously, including mediation services in the Goodbye Retreat to help reach a healthy legal resolution that best supports their family. I started working with couples to help save marriages after my wife and I struggled early on in her relationship. The impact of her parent’s messy divorce coupled with the stress of a new baby led us to experience conflict that seemed insurmountable. It was our eye opening experience with Imago therapy that transformed our marriage and motivated us to want to make it our life’s mission to give couples and families the very same tools that we continually work to master in our own relationship. Can you explain to our readers why you are an authority about “divorce”? Because I am an expert in conscious communication, I have created a unique methodology for couples to divorce in a conscious manner. I have been an eye witness to the effects of divorce, not only from my wife’s childhood story but from the numerous couples who are struggling to save their marriage, now adult children of divorce. The impact on them is profound and the way divorce is handled can make or break the level of harm it can cause to both partners, and of course any children. That’s why we have created a program to work with couples who are already getting divorced to help them achieve closure in an emotionally mature way so that they can both thrive post-divorce, instead of walking away bitter and resentful. 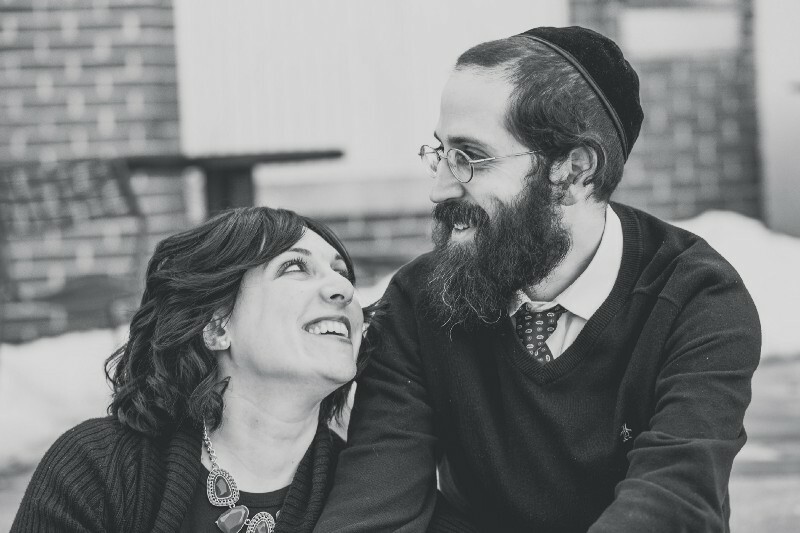 After clients kept coming to my office and asking me if I had been on The Oprah Winfrey Show, I realized that my look reminded others of another “relationship” Rabbi with a similar name, Rabbi Shmuley Boteach. When I called a husband by a different name during a session- I just felt like his name “should have been” what I called him. I caught myself doing that a few times! Always look over your client’s names before they come in! If you had a close friend come to you for advice after a divorce, what are 5 things you would advise in order to survive and thrive after the divorce? Can you please give a story or example for each? created, it’s not a given. Friendships will change and don’t let that surprise you. People may feel uncomfortable or perhaps have taken sides with your EX, so people who you thought were your friends may now have changed their tune. Don’t be shocked by this possibility. Everyone has a story. One couple who was in the process of getting divorced began to notice that she was no longer wanted at her (former) family friend’s potluck gatherings. She was deeply hurt and surprised to see how people who she thought were both of their friends, were clearly taking sides and ending the friendship overnight. start, talk with experts, hire a professional, read books and listen to podcasts. Educate yourself. Know that it’s possible to attract the same kind of person that you had in your spouse. Because a lot of what attracted you initially to your ex is happening unconsciously, it is very likely that the next guy or gal you meet might seem totally different than your ex but when a stressful situation arises, the same things that bothered you about your ex may start to bother you again. That’s because you take yourself in all of your relationships, along with your baggage from the past- including childhood- so work to understand more about yourself and what you contributed to your past relationships so that you don’t repeat it again. A psychiatrist colleague shared with me that he encouraged his client who was getting divorced to work on himself so as not to repeat the same mistake the next time. The client didn’t listen, got married to someone who even looked exactly like his first wife, and got divorced a second time. While statistics on second marriages are controversial, this dynamic is painful but true. Even if you end the marriage, the relationship never ends. If you have children, you will always be connected to your ex, so you may as well learn how to get along, communicate and be civil. Don’t think that you’re going to be “getting away from this person” once you divorce, in reality, you may have to continue dealing with them on a daily basis. What are the most common mistakes people make after they go through a divorce? What can be done to avoid that? Don’t rush, it’s never good to make a decision when you’re in a state of pain or anxiety. Take all the time you need, it usually won’t make a difference to wait. It’s hard not to do this at times, but if they are the parent of your child, it puts your kids in a difficult position with lasting effects. Not every person and even professional has the best advice for your own personal situation. Rivka’s own mother followed the advice of her divorce lawyers which included “kidnapping” and emptying the entire home of furniture while her father was at work. These lawyers were most interested in hefty litigation fees and their advice was traumatic for all involved. Sometimes well-meaning friends, clergy, and even therapists advise their clients to do things that they never would have done on their own. Do you have any favorite books, podcasts, or resources related to this topic that you would recommend to our readers? We’d have to say that Getting the Love You Want, by Dr. Harville Hendrix and all of the books in that series are valuable resources to learn about relationships, why they go wrong, and how to make them right. It’s priceless to process what you went through and how you can do things differently in the future. Can you please give us your favorite “Life Lesson Quote” that helped you in this work? Can you share how that was relevant in your real life? “ Marriage is the unfinished business of childhood” by Dr. Harville Hendrix, founder of Imago Therapy. Because marriage is for the purpose of growth and healing, it is precisely through the conflict that we are experiencing in a relationship that forces us to grow and stretch. Sometimes the stretch becomes too uncomfortable for people, and for those that truly want to achieve a new level of emotional intelligence, they’ll realize that it’s really not about their partner but about what is coming up internally and being triggered personally. That way they can achieve stratospheric new levels of personal growth and fulfillment. We are excited about collaborating with mediators, divorce financial analysts, and divorce attorneys on the “2 Day No Blame, No Shame Goodbye Retreat”. Gwenyth Paltrow helped make the term “Conscious Uncoupling” popular in 2014 and though it gained some traction, the reality of most divorces is one where both parties are not operating from a place of consciousness, leading to all kinds of reactivity which is harmful to both them and their children. Letting people know that they can simultaneously get more of what they want out of their relationship all while becoming a more whole and fully actualized individual is exciting. We’d like the 2 Day No Blame, No Shame Marriage and Divorce Retreats to become a worldwide name in “retreat-ing” with practitioners trained in the methodology in every country/state so that more people can become emotionally healthy and conscious. Rivka and I love Oprah. She’s made it her mission to make the world a better place and has also been personally impacted by Imago Therapy and so she understands just how life-changing this work is. Her emphasis on personal growth and giving to others is everything we aspire to be. Ross Garcia is one of CA's top mortgage originators. He provides strategic guidance on securing mortgage financing for his clients. Ross also contributes high level content for a number of various publications, including Thrive Global, Buzzfeed, Forbes, and Entrepreneur. Business burnout is real. And so is Marriage Burnout. Both are equally frightening.